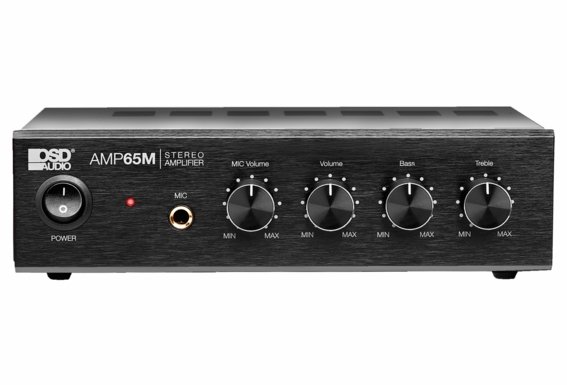 NEW AMP65 features 50W clear RMS power for your favorite speakers. 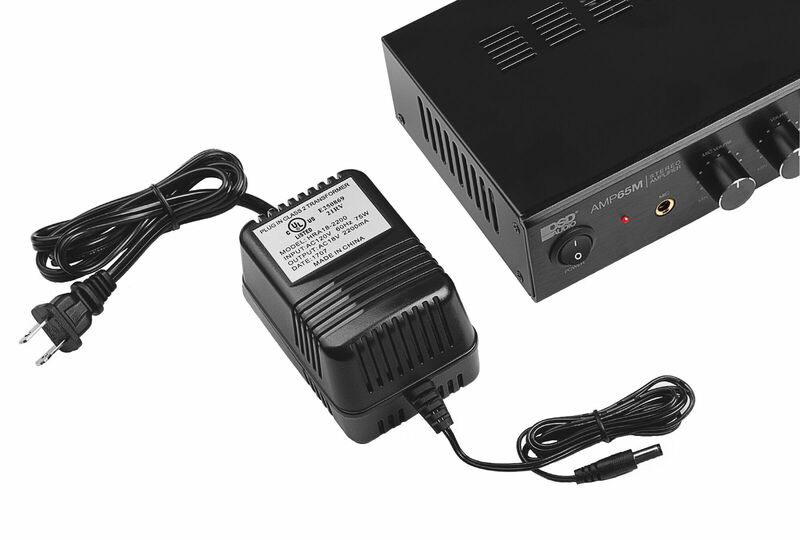 It comes with UL approval digital power supply with 1/4" Microphone Input. 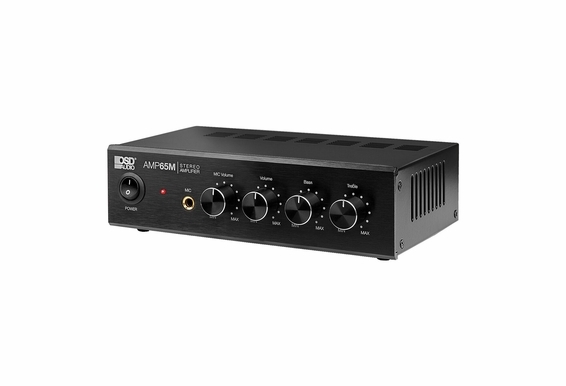 This small compact amp, great for easier applications, such as driving speakers for your guest room, workshop or garage. It also can add a separate zone for your whole house system. 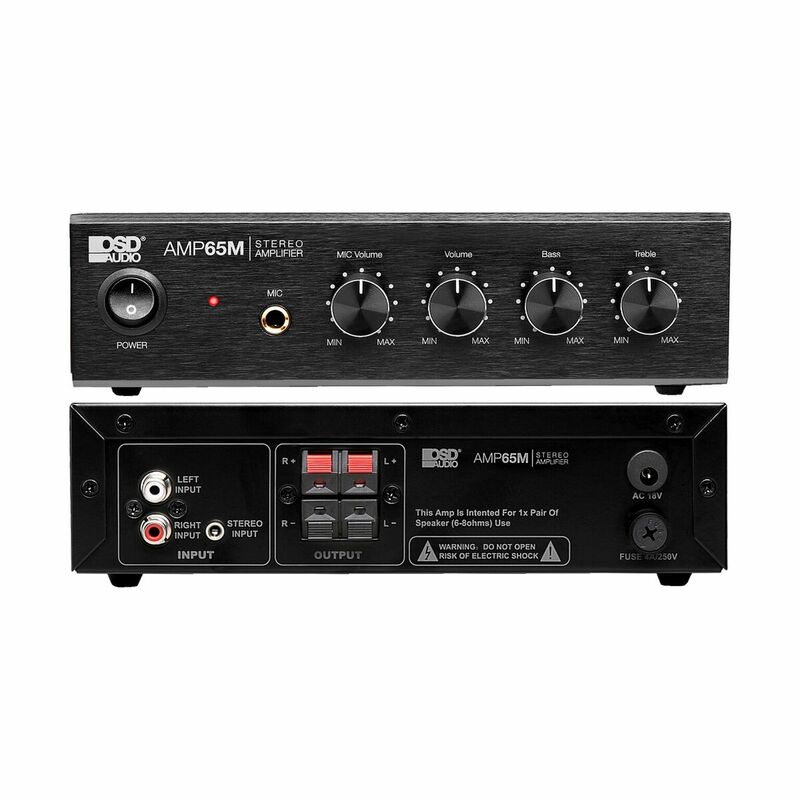 AMP65 has an output of 25 watts RMS per channel and uses an analog chip amplifier intended for liner sound applications. 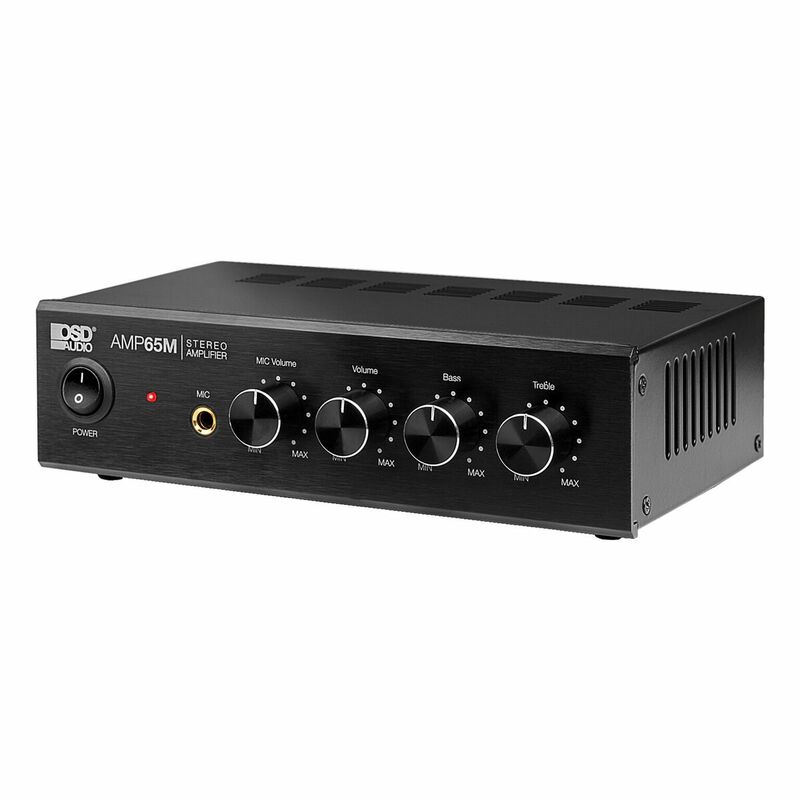 Often used to play their iPod or other portable device through bookshelf speakers located in the bedroom or den, this compact amp will power the speaker without taking up room. with brushed aluminum face the AMP65 looks elegant in your setup if you want to show it off. Connecting the AMP65 to an iPod is easy. Simply purchase our inexpensive RCA-to-mini cable adapter (located under the AV Cable tab), connect the RCA inputs to the back of the AMP60 and the mini plug to the headphone jack of your iPod. 25 Watt RMS Stereo Output Power per Channel for total 50W clean power. Will this work with the BTP 650 Bluetooth speakers? 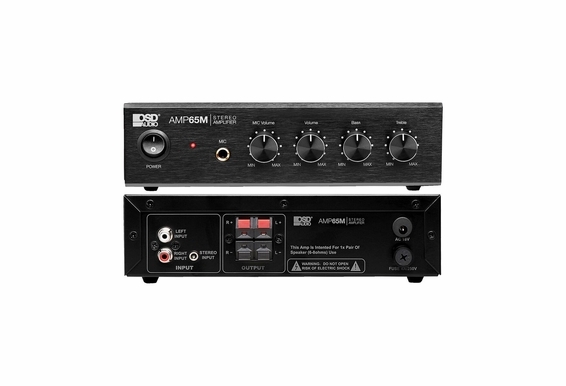 I'm using a Marantz NR1608 for full surround in the house. The zone 2 I'll be using to power to Polk outdoor speakers is not amplified. Will this unit work for that scenario?